*DISCLOSURE* Thank you to Salba Chia for providing product samples in order to facilitate this post. All thoughts are strictly my own. We love chia around here and have found so many awesome ways to add this nutrient-packed powerhouse to the foods we eat everyday. Salba Chia has come up with a brand new twist on chia seeds, though, and we couldn't be more excited about it! 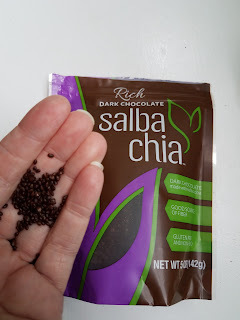 Dark Chocolate Chia Seeds! Yes, you read that right! You can now get the amazing benefits of chia covered in rich, dark chocolate! Dark Chocolate Covered Salba Chia is a power-packed way to add dense chia seed nutrition to your diet. Salba Chia makes it easy for you to add fiber, calcium, iron and dark chocolate to your favorite recipes. These amazingly delicious little seeds are great for topping ice cream, yogurt or oatmeal and can be added into pretty much any sweet baked good for an added boost of healthy decadence. Or, you can just do like I do most of the time and eat them straight from the bag! 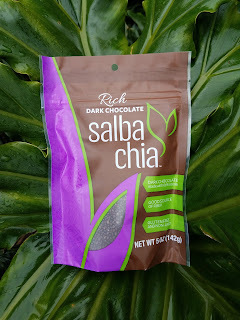 If you love dark chocolate, you should check out Dark Chocolate Covered Salba Chia!